It used to be that your hiking buddy Bob could do a whole 23-mile out-and-back without a single complaint. But something's changed in Bob. Now if his feet get a little wet, he fires up an endless stream of complaints. If he gets debris caked in his soles, he spends ... (see full details) (see specifications) #DNN45382. It used to be that your hiking buddy Bob could do a whole 23-mile out-and-back without a single complaint. But something's changed in Bob. Now if his feet get a little wet, he fires up an endless stream of complaints. If he gets debris caked in his soles, he spends 30 minutes digging it out with a stick and muttering darkly under his breath. For your own sanity (and for the sake of your hikes), direct Bob to these Danner Men's 45382 Steel Grey Leather 5.5-Inch Waterproof Hiking Boots. He'll thank you. And you'll thank us. This premium footwear has been rated a "Best Buy" by Backpacker Magazine, so we're not the only ones who love them. And they deserve it! Why? Let's start with their 100% waterproof and breathable Gore-Tex liners that are engineered to keep your feet dry and comfortable. These liners not only keep water out, they also let moisture vapor (like sweat) escape. That alone should put a smile on Bob's dour, downcast face. Bob might also smile at the full-grain Nubuck waxed leather uppers. Nubuck uses a process that leaves leather soft and almost suede-like, but stronger. The wax can improve the rugged uppers look, while adding some waterproofing properties as well. To keep these steel grey shoes looking fresh, a scuff-proof toe caps give Bob some extra protection in this high-wear area. You know how he's always stubbing his toes on logs, rocks, and very slow squirrels. Once Bob feels the comfort features in these exceptional boots, he might even be up for that 23-mile out-and-back again. That's due to the Terra Force X platforms. These provide lightweight durable traction, heel-to-toe energy transfer, side support for enhanced maneuverability, and protection from arch fatigue. Sounds pretty sweet, right? Now combine that with the Approach TFX lightweight outsoles, and you might even become jealous of Bob. This rubber outsoles provide improved acceleration, downhill braking, side hill traction, and side support enhances your maneuverability. It's like off-roading tires for your feet. And the beveled lugs prevent debris build-up, so you can tell Bob to retire his boot-pickin' sticks. And, for enhanced arch support, these men's boots have fatigue-busting TPU shanks. Forget about Bob! Let him wallow in his misery. 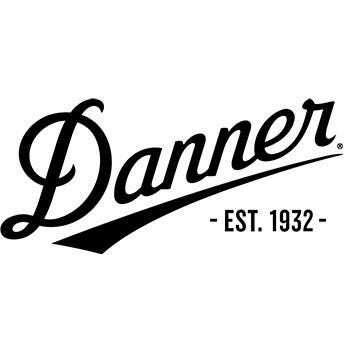 You're the one who needs these Danner Men's 45382 Steel Grey 5.5-Inch Waterproof Hiking Leather Boots. Go get 'em! Danner Boots: Men's 45382 Waterproof Grey Terra Force X Hiking Boots is being added to your cart.